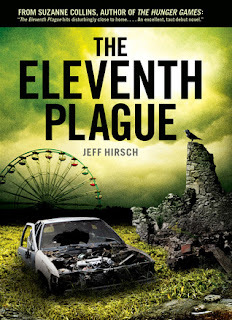 First Novels Club: ELEVENTH PLAGUE Giveaway Winner! With 143 entries, there are obviously a whole bunch of you who want to read The Eleventh Plague! Which is exactly as it should be, because the book is seriously awesome. Congratulations Kristen! Watch your inbox for an email from us. For the rest of you, thanks for entering! And don't be sad. You can pick up this one up now from your bookstore of choice! LOLA, won't you be our neighbor?